"Forget Gone with the Wind . . . a story that grabs the reader and demands to be devoured. Wow." Why do you think the author chose to tell the story through two narrators? How are Lavinia's observations and judgments different from Belle's? Does this story belong to one more than the other? If you could choose another character to narrate the novel, who would it be? One of the novel's themes is history repeating itself. Another theme is isolation. 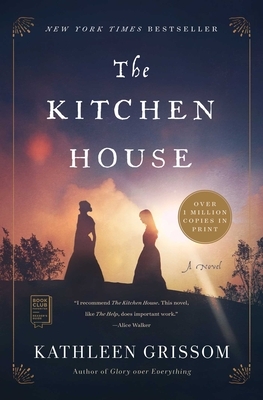 Select scenes from The Kitchen House that depict each theme and discuss. Are there scenes in which the two themes intersect? "Mae knows that her eldest daughter consorts with my husband. . . Almost from the beginning, I suspected their secrets" (page 107). Why does the captain keep Belle's true identity a secret from his wife and children? Do you think the truth would have been a relief to his family or torn them further apart? At what point does keeping this secret turn tragic? Discuss the significance of birds and bird nests in the novel. What or who do they symbolize? What other symbols support the novel? "When I saw their hunger I was struck with a deep familiarity and turned away, my mind anxious to keep at bay memories it was not yet ready to recall" (page 24). Consider Lavinia's history. Do you think the captain saved her life by bringing her to America as an indentured servant? Or do you think it was a fate worse than the one she would have faced in Ireland? Discuss the difference between slavery and indentured servitude. Marshall is a complicated character. At times, he is kind and protective; other times, he is a violent monster. What is the secret that Marshall is forced to keep? Is he to blame for what happened to Sally? Why do you think Marshall was loyal to Rankin, who was a conspirator with Mr. Waters? I grew convinced that if she saw me, she would become well again (page 188). Why does Lavinia feel that her presence would help Miss Martha? Describe their relationship. If Lavinia is nurtured by Mama and Belle, why does she need Miss Martha's attention? Is the relationship one-sided, or does Miss Martha care for Lavinia in return? "Fortunately, making myself amenable was not foreign to me, as I had lived this way for much of my life" (page 233). Do you think this attribute of Lavinia saves or endangers her life? Give examples for both. Describe the relationship between Ben's wife, Lucy, and Belle. How does it evolve throughout the novel? Is it difficult for you to understand their friendship? Why or why not? "I was as enslaved as all the others" (page 300). Do you think this statement by Lavinia is fair? Is her position equivalent to those of the slaves? What freedom does she have that the slaves do not? What burdens does her race put upon her?